I remember going here in the fifties with my family and friends. It was the highlight of my dad's week off. I remember you could take a boat out on the lake. On one visit to the lake my dad got out of the boat and left my brother Derek and me to row it back, but my brother panicked and wanted to go to dad. He decided to get out and fell in so I had to get it back and let Vera know. We had great times there and got to meet many friends. I was Pauline Hart then. Len I remember you and your sister Carol Bickford. The fifties/sixties were the best. Yes I remember the sweet shop as I lived next door to Molly's, and remember having great fun with you and your brother Martin around the area. My Grandfather (Edgar Powling) started and ran Stambridge Trout Fisheries for many years with his son John (my uncle) in the 50s and 60s. Does anyone remember Mrs Bannister's sweet shop, opposite the old post office? HEAVEN!! Len - many thanks for your comment. If it's convenient, you could bring your postcard to Rayleigh or Rochford Library and ask them to contact us. We can then scan it in and upload it onto the site and return your original to you. We are very glad to receive contributions, whether words or pictures, from people with memories of the district. 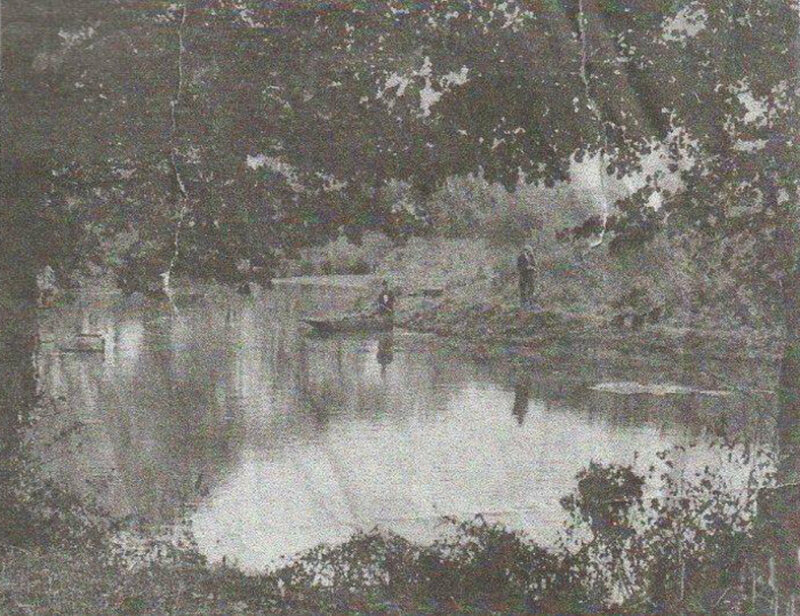 When i was a lad growing up in Rochford in the 1950's/1960's, i used to visit theTrout Fisheries many times.They used to hire out small rowing boats etc. We used to have great fun there, we even fished there a few times.The picture brings back many happy memories.I remember that there was a stream running at the rear and we even saw an otter playing in the stream.I have a picture postcard of it and will load it onto this site once i learn how to.